Memorial Lane is dedicated to forever remembering and honoring ALL those who served as Firefighters, in Law Enforcement, or in the Military. We honor those who have served in the past, the present and in the future. Within each site is a special place of honor for those Fallen Heroes who have paid the ultimate sacrifice. We encourage all to visit, reflect and with great respect to join those who pay HOMAGE TO OUR HEROES. Join us at Memorial Lane as we honor those who serve our community! Off-site parking with a trolley will be available to the ceremony and to the square for event after the opening ceremony. The trolley will start running at 8:15 a.m.
Friends of Memorial Lane is a citizen’s committee that is an outgrowth response from the members of the Memorial Lane Committee which was formed with approval of the Granbury City Council. This committee was to oversee the design, fundraising, and completion of the new Memorial Lane. 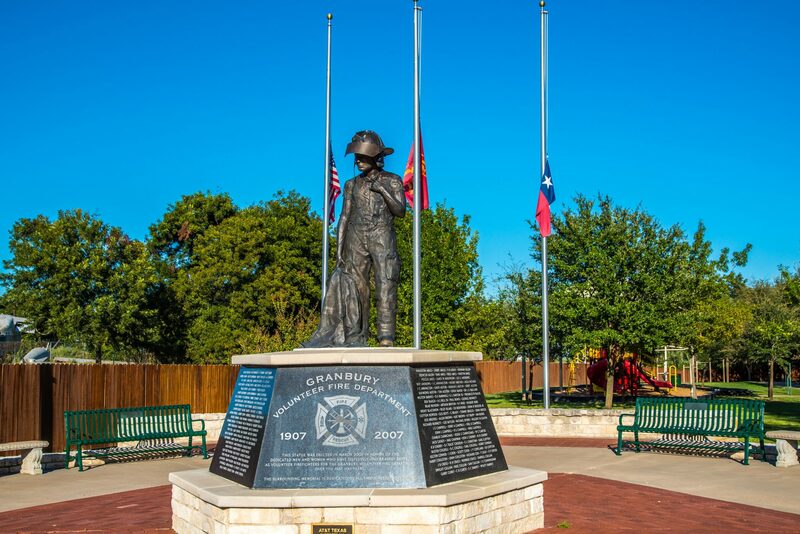 Memorial Lane is located at the Jim Burks Firefighters Memorial Park at 561 N. Travis, Granbury, Texas. The 3 sites now include the existing Firefighters’ section with the addition of two new sites; one honoring and remembering all Law Enforcement and also the same for one to include all military. The goal of Friends of Memorial Lane is to support, expand (when and if needed), hold appropriate events for heroes, and to work to always maintain the integrity and beauty of Memorial Lane. 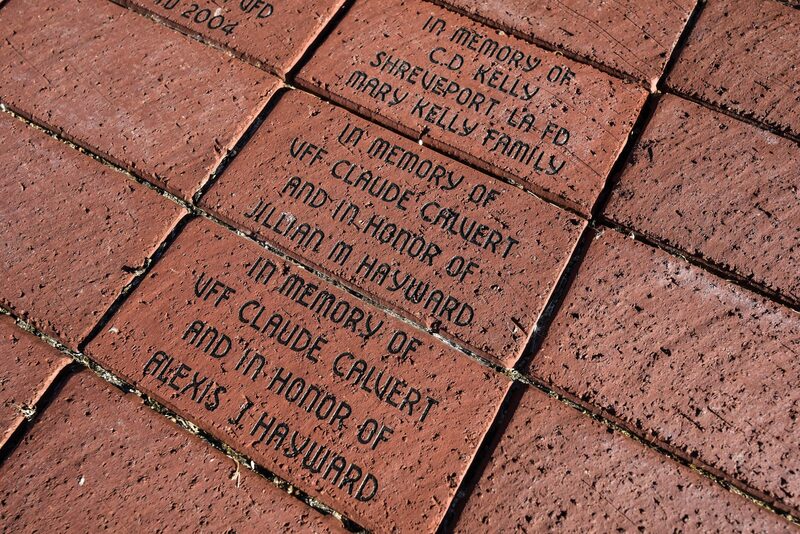 Pavers are placed in the park and are a great way to honor loved ones and all heroes who have served past or present. You will be notified when the paver is being placed. Click below to print an order form. Our park would not be what it is today without the support of our donors. Please consider making a donation so our park may be enjoyed for many years to come.